(Trent Nelson | The Salt Lake Tribune) Holy mole. Maria's Mexican Grill in Salt Lake City, Tuesday, Aug. 14, 2018. Millcreek • Maria’s Mexican Grill has been open just eight months and already it’s racked up more than 60 five-star reviews on Facebook. In fact, all of its Facebook reviews are five stars. To be fair, our scale reaches only four stars. But I can’t, in good conscience, match the enthusiasm of those diners and give Maria’s full marks on our scale either. I’m not saying don’t eat there. You just need to manage expectations. 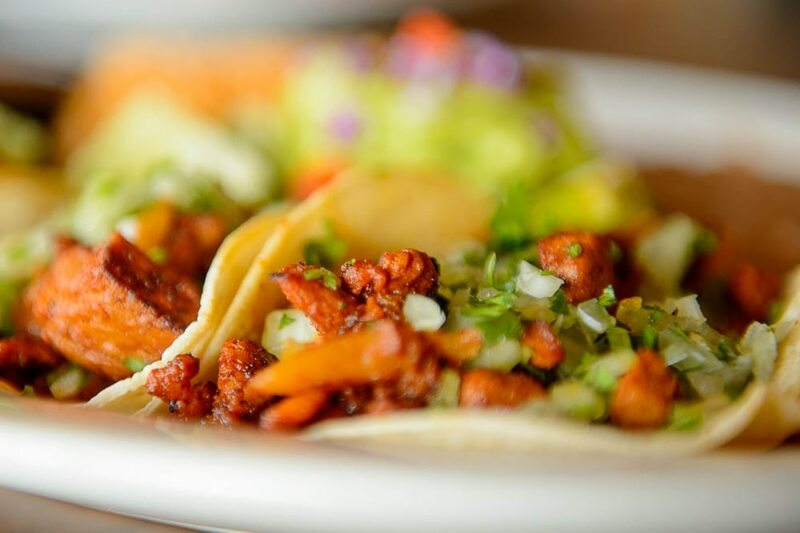 (Trent Nelson | The Salt Lake Tribune) Tacos al Pastor. Maria's Mexican Grill in Salt Lake City, Tuesday Aug. 14, 2018. (Trent Nelson | The Salt Lake Tribune) Coctel de Camaron. Maria's Mexican Grill in Salt Lake City, Tuesday Aug. 14, 2018. (Trent Nelson | The Salt Lake Tribune) Sergio, Alex, and Maria Vazquez. Maria's Mexican Grill in Salt Lake City, Tuesday Au... (Trent Nelson | The Salt Lake Tribune) Maria's Mexican Grill in Salt Lake City, Tuesday Aug. 14, 2018. (Trent Nelson | The Salt Lake Tribune) Tacos al Pastor. Maria's Mexican Grill in Salt Lake City, Tuesday Aug. 14, 2018. (Trent Nelson | The Salt Lake Tribune) Maria's Mexican Grill in Salt Lake City, Tuesday Aug. 14, 2018. (Trent Nelson | The Salt Lake Tribune) Maria's mole. Maria's Mexican Grill in Salt Lake City, Tuesday Aug. 14, 2018. (Trent Nelson | The Salt Lake Tribune) Maria's Mexican Grill in Salt Lake City, Tuesday Aug. 14, 2018. (Trent Nelson | The Salt Lake Tribune) Maria's Mexican Grill in Salt Lake City, Tuesday Aug. 14, 2018. (Trent Nelson | The Salt Lake Tribune) Maria's Mexican Grill in Salt Lake City, Tuesday Aug. 14, 2018. (Trent Nelson | The Salt Lake Tribune) Holy mole. Maria's Mexican Grill in Salt Lake City, Tuesday Aug. 14, 2018. (Trent Nelson | The Salt Lake Tribune) Maria's mole. Maria's Mexican Grill in Salt Lake City, Tuesday Aug. 14, 2018. (Trent Nelson | The Salt Lake Tribune) Tacos al Pastor. Maria's Mexican Grill in Salt Lake City, Tuesday Aug. 14, 2018. (Trent Nelson | The Salt Lake Tribune) Coctel de Camaron. Maria's Mexican Grill in Salt Lake City, Tuesday Aug. 14, 2018. (Trent Nelson | The Salt Lake Tribune) Sergio, Alex, and Maria Vazquez. Maria's Mexican Grill in Salt Lake City, Tuesday Aug. 14, 2018. (Trent Nelson | The Salt Lake Tribune) Maria's Mexican Grill in Salt Lake City, Tuesday Aug. 14, 2018. (Trent Nelson | The Salt Lake Tribune) Tacos al Pastor. Maria's Mexican Grill in Salt Lake City, Tuesday Aug. 14, 2018. (Trent Nelson | The Salt Lake Tribune) Maria's Mexican Grill in Salt Lake City, Tuesday Aug. 14, 2018. (Trent Nelson | The Salt Lake Tribune) Maria's mole. Maria's Mexican Grill in Salt Lake City, Tuesday Aug. 14, 2018. (Trent Nelson | The Salt Lake Tribune) Maria's Mexican Grill in Salt Lake City, Tuesday Aug. 14, 2018. (Trent Nelson | The Salt Lake Tribune) Maria's Mexican Grill in Salt Lake City, Tuesday Aug. 14, 2018. (Trent Nelson | The Salt Lake Tribune) Maria's Mexican Grill in Salt Lake City, Tuesday Aug. 14, 2018. (Trent Nelson | The Salt Lake Tribune) Holy mole. Maria's Mexican Grill in Salt Lake City, Tuesday Aug. 14, 2018. (Trent Nelson | The Salt Lake Tribune) Maria's mole. Maria's Mexican Grill in Salt Lake City, Tuesday Aug. 14, 2018. Maria’s will be wholly satisfying for many people. The menu at the Millcreek restaurant offers dozens of Tex-Mex dishes including fajitas, burritos and chimichangas. 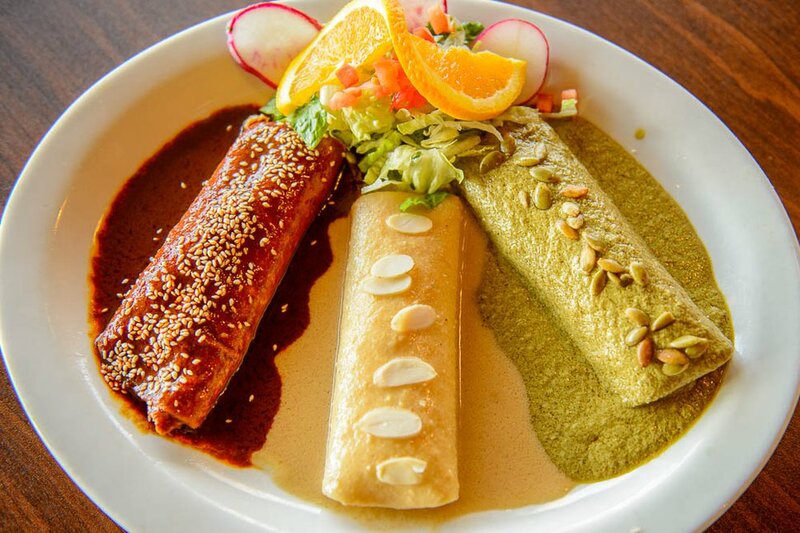 There are more traditional Mexican dishes like mole and tamales, too. But the menu falls a bit short. 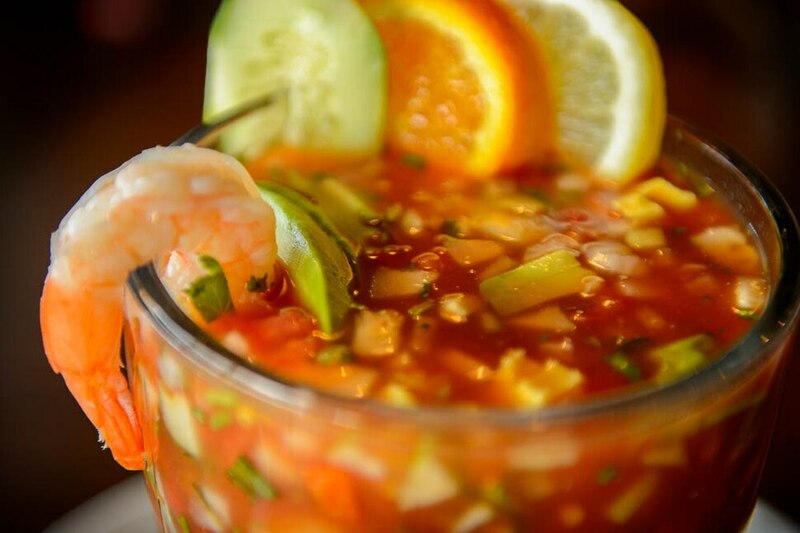 Mexican cuisine is defined by herbs and spices, slow cooked and marinated meats, and complex sauces. Maria’s too often presents the opposite — an underseasoned, sometimes chewy, muddled mess lacking depth. “They played it right down the middle when they have an avenue and cuisine that demands spice and flavor,” one friend lamented. Take the Chorizo con Huevos ($9.99), which implies spicy sausage with eggs. Yet the chorizo offered little heat, despite being the focal point of the dish that also included refried beans, rice and the thickest flour tortillas I’ve seen. I also wanted more heat in the tortilla soup ($6.99), which also needed more tortilla chips and a thicker broth. Other letdowns included Maria’s Super Fries ($10.99), a heap of french fries, carnitas, chile verde, cheese and green onions, and the Puntas de Filete ($13.99), a plate of sirloin tips sauteed with bacon, jalapeño, onions, tomatoes and topped with monterey jack cheese and green onions. Both oozed grease, and the bitter and acidic taste from the accompanying jalapeños overwhelmed other flavors. The sauce with the Chile Colorado Plate ($9.99) was an improvement, but the chewy and tough cubed pork highlighted a disconnect in Maria’s food preparation — cooking the meat separately and then smothering it with sauce when plating. Simmering the two together would allow the flavors from the sauce to soak into and tenderize the meat. Maria’s Mole ($14.99), our overall favorite dish, had the spice and depth other dishes lacked. In fact, we could zero in on the pumpkin seeds and cocoa in the thick red sauce also made with sesame seeds, peanuts, almonds, raisins and dried chiles and poured over shredded chicken. That same sauce also stars in the on-and-off special, the Holy Mole ($10.99), that resembles Mexico’s flag with its green, white and red mole-smothered enchiladas. Apparently, we should have tried the smothered burrito (starting at $7.99), voted No. 1 in USA Today’s 2018 Readers’ Choice contest. (Trent Nelson | The Salt Lake Tribune) Sergio, Alex and Maria Vazquez. Maria's Mexican Grill in Salt Lake City, Tuesday, Aug. 14, 2018. “The smothered burrito is really popular. 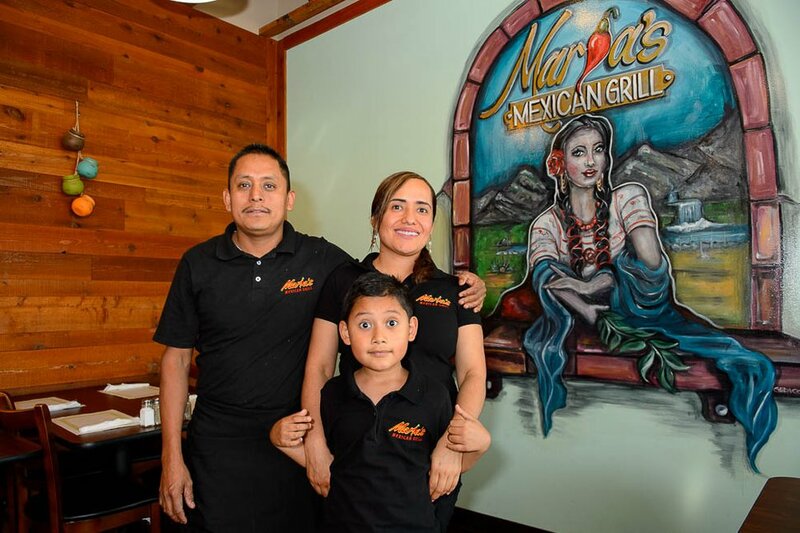 … We won the best smothered burrito in Utah, and that surprised us because we just started this place seven, eight months ago,” said Sergio Vazquez, who owns the restaurant with his wife, Maria. Although the couple have worked in the industry about 20 years, Maria’s is their first restaurant. Another standout was the refried beans — included with most dishes or purchased as a side for $3.99. Ultimately, I wished every dish tasted as if it had been prepared with that much care. The mole and beans made clear that Maria’s Mexican Grill knows how to deliver more nuanced flavors. The question is whether the owners really want to aim higher. Sixty five-star reviews might suggest they don’t have to. This Millcreek restaurant serves Tex-Mex dishes including fajitas, burritos and chimichangas, as well as more authentic Mexican dishes like mole and tamales. Hours • Sunday-Thursday, 10 a.m. to 9 p.m.; Friday and Saturday, 10 a.m. to 10 p.m.